Be there or be square folks! 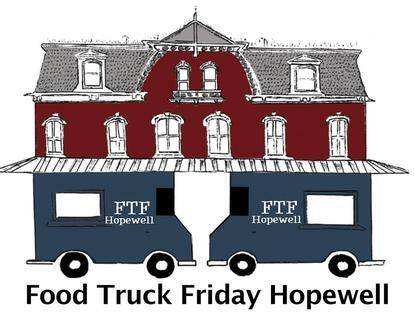 Friday, June 26, marks the summer’s first Foodtruck Friday event in Hopewell. Eight food trucks will gather from 5:00 to 9:00pm at Hopewell’s Train station offering everything from gourmet lobster rolls to fried cheese curds. The Jumpers, a local party band, will play their unique mix of Louisiana Country and Funk Rock. To date, the trucks on the line up are: Nomad Pizza, Four Daughters Franks, The Cow and the Curd, The Tot Cart, Oink and Moo BBQ, Surf and Turf Truck, Cupcake Carnivale, and Nina’s Waffles and Ice Cream.